Spanish President Pedro Sánchez has opened the door to the possibility of early general elections next year after saying Friday that his minority government will not bother to present to Congress a draft 2019 budget negotiated with leftwing party Podemos if it appears unable to muster a necessary simple majority of congressional votes for approval. The president’s remarks on Friday came on the heels last week of repeated refusals by Catalan pro-independence parties to provide the votes needed for budget approval, following the formal indictment of pro-independence politicians by Spain’s Supreme Court on charges related to the illegal October 2017 independence referendum in Catalonia. 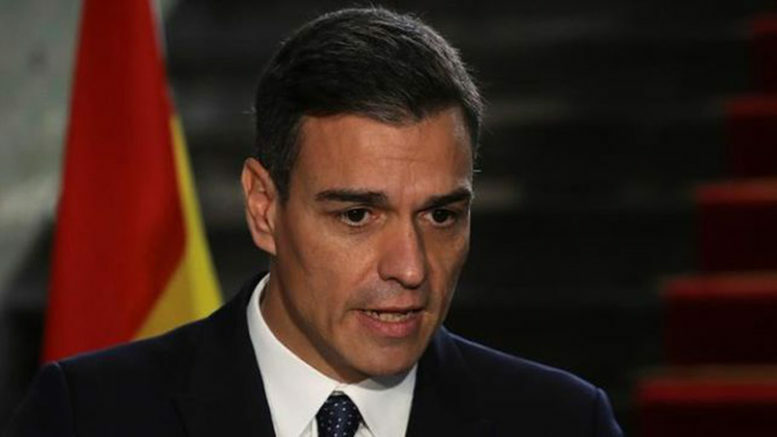 That prompted Sánchez’ budget ally,with Podemos general secretary Pablo Iglesias, to remark that were Sánchez unable to garner the necessary votes he should not attempt to continue to govern with his Socialist party (PSOE) holding just 84 seats in Spain’s 350-member Congress. On Friday, while attending an Iberoamerican Summit of heads of state in Guatemala, Sánchez appeared to respond to Iglesias by saying his administration could continue to govern Spain without submitting the budget to Congress, opting instead to pass key progressive legislation on social issues by decree until the next scheduled general elections in July 2020. Has Sánchez ‘thrown in the towel’? That prospect sparked a rumour mill in the Spanish press, however, with some observers projecting that if his PSOE party wins a victory in Andalucian regional elections on 2nd December, Sánchez could capitalize and attempt to shore up his party’s position in Congress by calling early national elections as soon as late-March. For their part, Podemos leadership aired the possibility that Sánchez had “thrown in the towel” and would call an early general election in the Autumn of 2019. With two early-election dates being bantered around in the press, on Monday it was the turn of Minister of Development José Luis Ábalos, a powerful Sánchez ally and an architect of his comeback to retake the reigns of the Socialist party in 2017, who said either date was possible for an early election. Ábalos then dropped the bombshell that Sánchez could opt to hold a general election on Sunday 26th May 2019, an option that would make for a “Super Sunday” election municipal, with municipal, regional and European Parliament elections already scheduled to take place that same day cross Spain, with a likely result of high voter turnout that could favor the Socialist government.